Thank you for your interest in our New York Hebrew School, a division of the Manhattan Jewish Education Network. 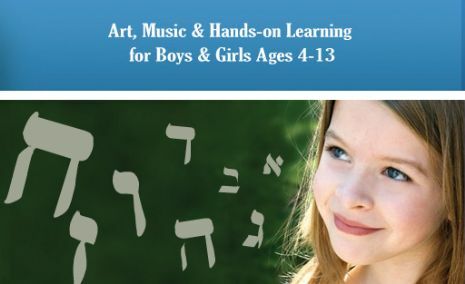 Our Hebrew School offers a unique approach to after - school Jewish education through the use of State of the Art computers with customized Hebrew School Software. As we enter our seventh successful year we are proud to be referred to as the "Hebrew School where students don't want to miss a day!" Perhaps this is due to our commitment to ensure that each day includes exciting activities, relevant lessons, and an emphasis on "hands on" learning. Or maybe it is our inspiring and dedicated staff members who make sure that each child receives the attention and lessons geared to their individualized learning style and level. Our curriculum, which is implemented by our nurturing and experienced staff, is intended to guide students in the fundamental subject areas and to foster within them a sense of belonging and closeness to G‑d and the Jewish people. Our program is for girls and boys ages 3 yrs - 13 yrs old. 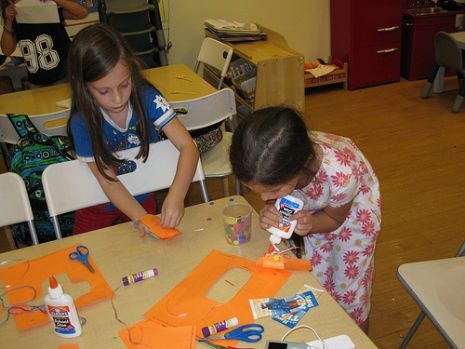 We offer a special Advanced Learning Program for Bar and Bat Mitzvah aged children. No membership is required to attend the New York Hebrew School. Professional dedicated and loving. These words speak volumes about the team at New York Hebrew School. 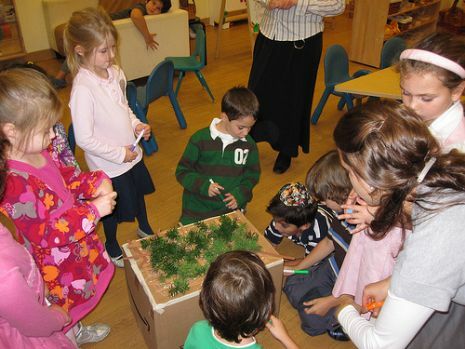 A carefully selected staff ensures a maximum Hebrew School experience for every child. Equipped with years of study and professional experience, we strive to respond to the individual needs of each child. Employing cutting edge methodology and liberal doses of warm, loving care, our staff creates an atmosphere that ensures both cognitive and emotional growth. Sarah Rotenstreich brings to New York Hebrew School her many years of teaching and administrative experience as the creator of the innovative New York Talmund Torah, Sarah developed an exciting and engaging Hebrew school that has, since its inception, grown to encompass three different locations and a vast following of Manhattan families. Chani's energetic, friendly and optimistic personality has endeared her to both students and parents alike. Chani Marcus grew up in Southern California and graduated from MBM, a Judaic teacher's seminary in Toronto Ontario in 1998. She focused her energy on perfecting her teaching skills while working as an elementary school teacher for the next four years. At the same time she began making her mark as an educational curriculum developer for Chabad Hebrew Schools worldwide. Chani is the author of "Bereishis", the innovative Hebrew School curriculum published and distributed in 2001. The New York Hebrew School is proud to be pioneering a brand-new innovative Hebrew reading system called the "Aleph Champion Program", created and developed by Chani, which will be used by sister schools across the country. We are honored to have Chanie as the curriculum director of the New York Hebrew School.